Get some hosting experience under your belt at the Co-op, an inclusive improv performance program operated by the Crowd Theater. Every 8 week season we put together 8 teams of 10 performers to do shows and meet new people. This season, we're looking to give non-improvisers the opportunity to get some stage time by opening up sign ups to host Co-op shows every Friday and Saturday at 8pm at the Crowd theater. 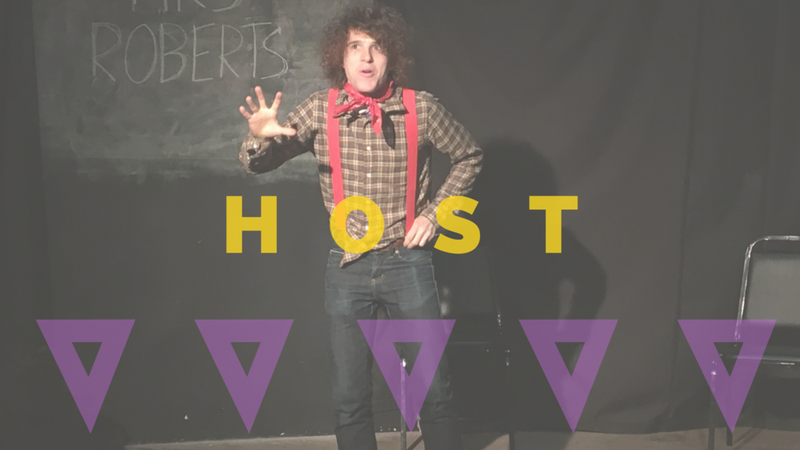 Hosts will get the opportunity to artistically steer the show with themes, bits, goofs or gags of their choosing while keeping the show (comprised of four 20-minute improv sets) running in a timely fashion. All hosts are required to attend a brief introductory meeting in mid-March. You'll then be scheduled to host shows throughout the season. We get some fresh voices on stage and you get to hear yourself talk. Everyone wins! been through the co-op as a performer. This section is to help us create as diverse a program as possible. If you feel that you bring a diverse perspective but don't fit into any of the options below, feel free to use the text box at the bottom to let us know. Also, this should honestly go without saying, but this is not the section for bits! Hi it's me, another reminder that this is not the section for bits! Please refrain from adding the option "white" in what is clearly meant to be a space for minorities. Thank you. This is space for pronouns we haven't listed yet. We'll be sure to share your pronouns with your assigned team. We will be getting back to you when we have more details!